Woohoo for Friday!! We've been having a great week but it's always nice when the weekend gets here! We have my nieces 1st birthday party tomorrow and a family day with my Mom/sis/BIL/nephew on Sunday - should be a fun weekend! Here's a look at my favorites for the week! My garden is growing!! Well, most of it anyway! 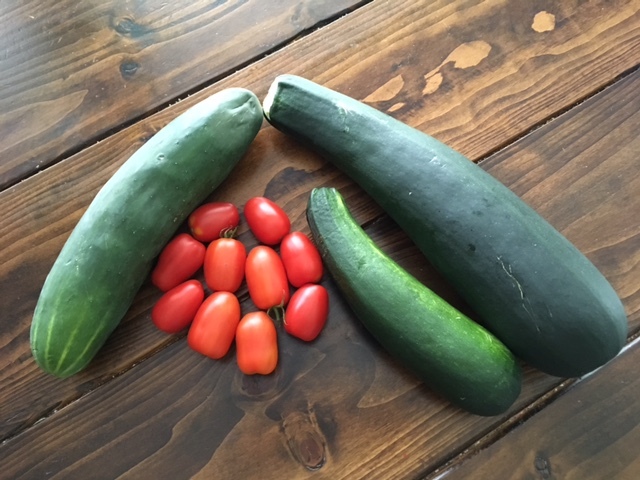 We have tomatoes (which is hard to believe since Avery picked SO many when they weren't ready), zucchinis and cucumbers! My green pepper plants seem to always have problems as the past couple years they don't grow anything but one small pepper - I wonder what's up with that!? I'm also really hoping this comes back in stock in my size and the color I want!! How yummy does this recipe look?!?! 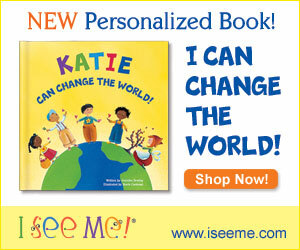 I have this on my must make soon list!! 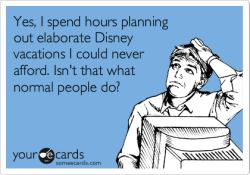 Our Disney trip is coming up quick and I have to book our fastpasses soon so I've been in major planning mode - I absolutely love planning our Disney trips though, so I don't mind my free time going to that. Avery does NEED that car! Look at those garden goodies. I hope you have a wonderful weekend! You guys are going to have to SO much fun! Avery needs that car! Your garden is doing great. Have a great weekend! Yay Disney! And yay for your garden! I ordered my NSale stuff this morning and I'm SO excited! I was so pissed, though, because half of the stuff I wanted is sold out. WAAAAHHHH. I think we're going to try to go to an actual store when we're in ATL on Tuesday, though. I'm hoping I can get my hands on some of the stuff that I wanted in the store. Wahoo for Friday indeed! It’s been a long week. It was a good one, but I am ready for the weekend. Sounds like you will have a good one filled with family time. Good job on your garden! That is awesome. We have a huge garden, but never use it. We should change that. Avery will have so much fun with that car. Mason has had a few and he gets so much use out of them. He feels big when he drives it and it’s so cute! I can’t wait to live vicariously through your Disney trip. 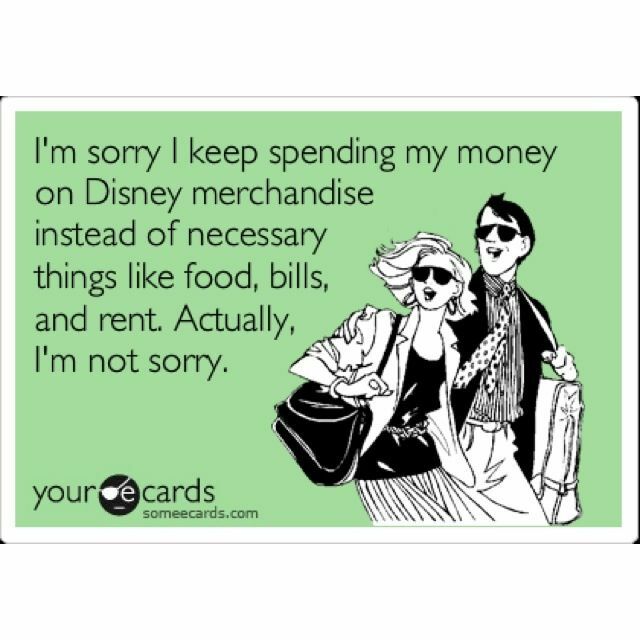 When we went to Disney, we went without a plan. We had our Fast Track laid out and knew we'd go from open to close. Anything else... we just went with it. I thought about planning things but was totally overwhelmed by how much you can do that I went with the basics. Oh that car would be a blast! Those jeans are SUPER duper cute too. I really need to get another pair of skinny jeans, a colored pair would be fun too! 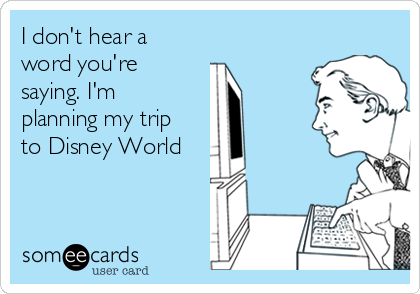 I hope your weekend and Disney planning is going well!